Can't believe I'll say this but.... I actually like this version of Spiderman! 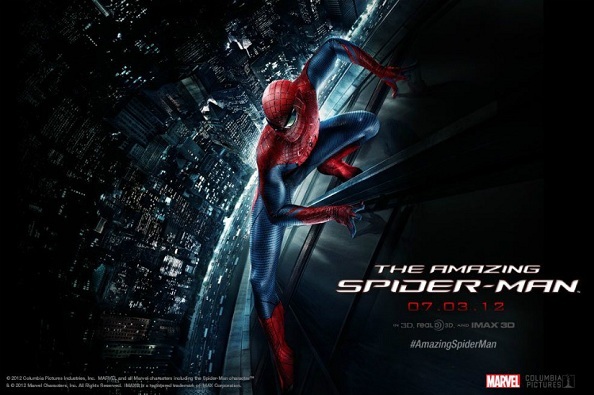 I never like the Tobey-Maguire -Spiderman before because to me, meh... it's just another superhero movie, but this is nice! Yes yes maybe you'll think it's just Spiderman, nothing new here, people are repeating the same thing and same story etc but Marc Webb + Andrew Garfield is the reason why you should watch this! Despite at the age of 28, Andrew Garfield played Peter Parker well as a fresh-faced innocence vigilante and totally look like a noob by how he deal with criminals in town, as well as the highs and lows of his life. According to le bf who has read the comic, this movie is pretty much to his liking as well seeing the plots and details of it are following the original comic. Yes, Spidey doesn't shoot web from his wrist. This is the device that's been creating the web as seen in comic. Character development of Peter Parker from young till a teenager used up quite some time, as well as the time he needs to search for balance as a cross genetic superhero, hence some people are saying it's draggy and all but I think it's quite essential and match with the claim for bringing out something original about this superhero from its original source. I think one of its minor flaws is that this movie is lacking tad bit of action. 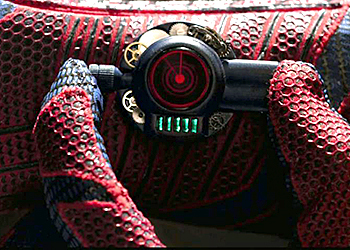 The whole movie is quite enjoyable to watch as there's numerous of funny scenes and humour created by Peter Parker, as well as the emotions of the character, shows how much pure heart and dedication of this movie team putting into create something that 'feels' better than the previous Spiderman rather than just focusing on action. I don't know how 3D version looks and feels like but the thrill feeling while watching Spiderman swinging among those blocks in the city in 2D is pretty much appealing already. If there's a sequel of this from the same director and casts, I'm definitely watching it!